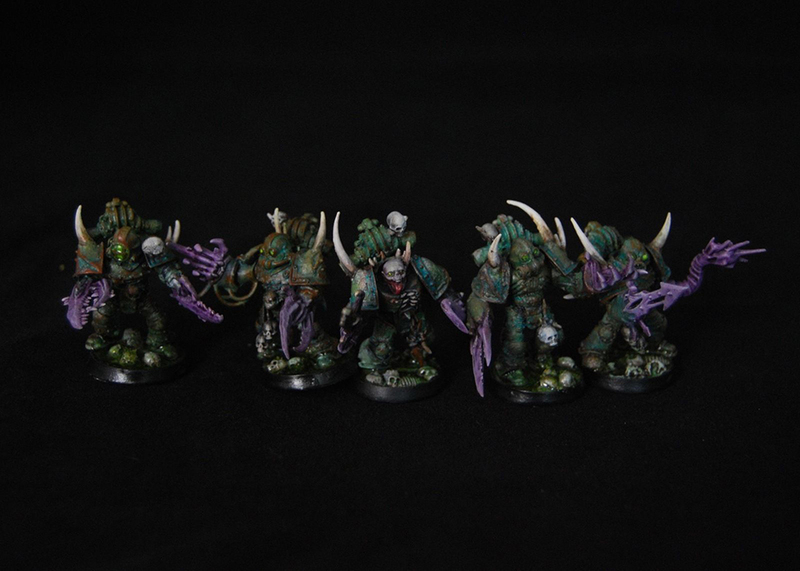 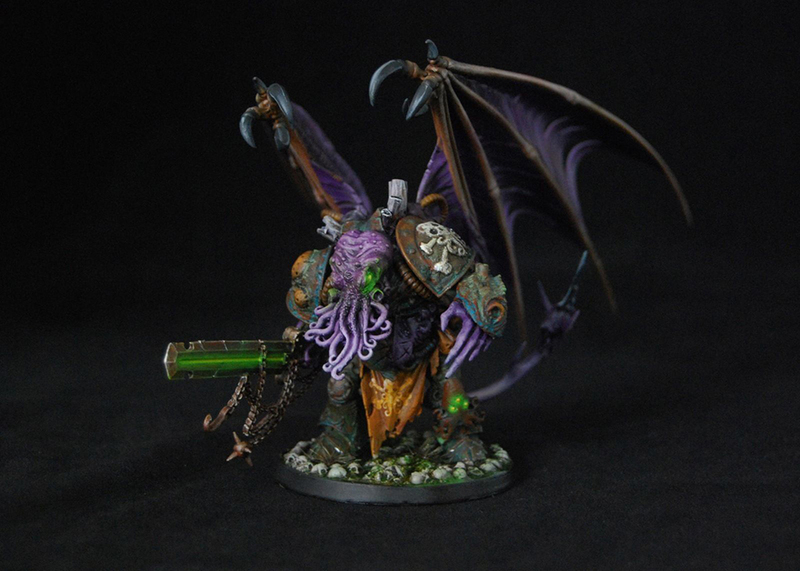 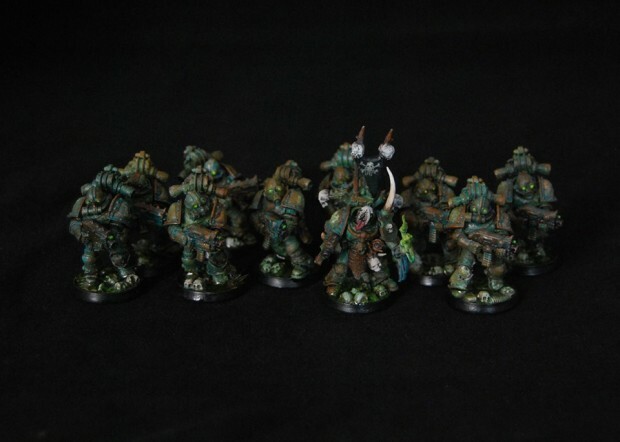 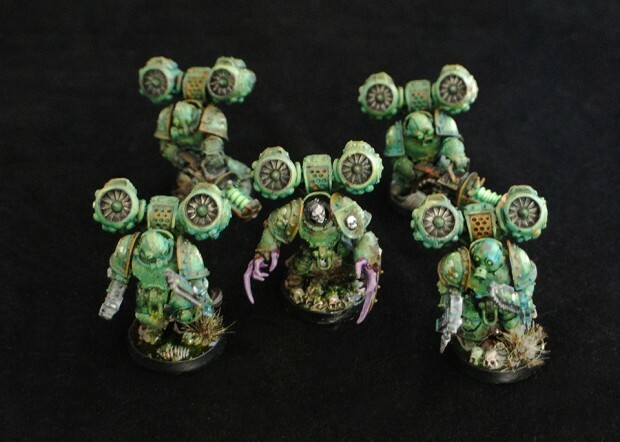 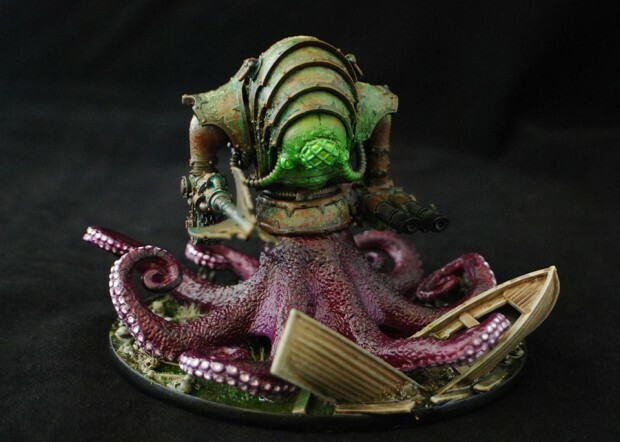 Warhammer 40K figure modder Eye of Error has been working on Mariners Blight, a set of Chaos Space Marines figures with Cthulhu mythos-inspired designs, since at least 2012. 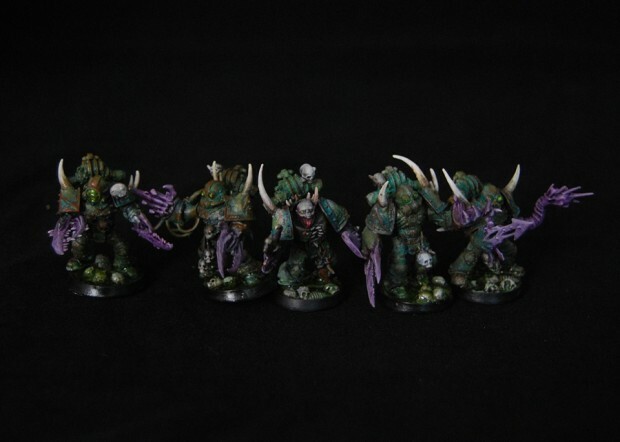 Now he says he’s ready to move on with new armies so he’s auctioning off these amazing figures with rock bottom starting bids. 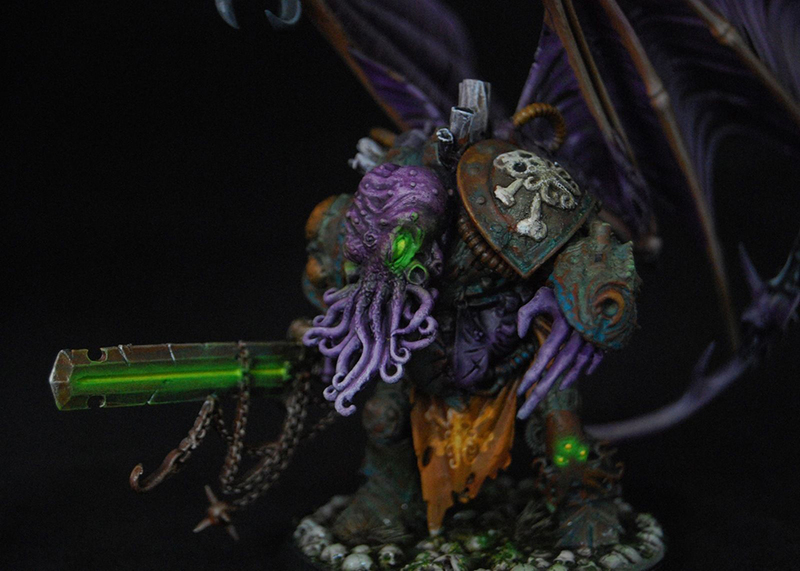 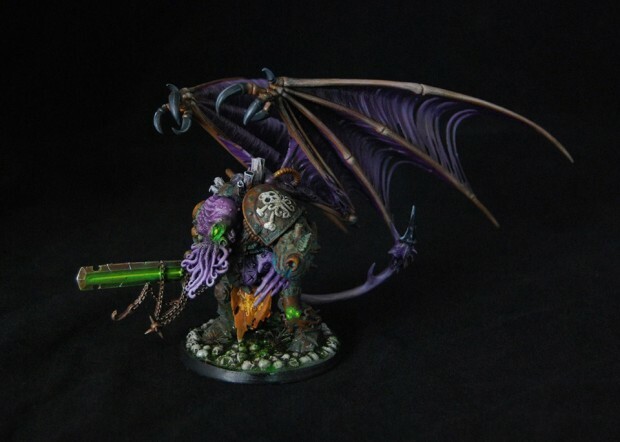 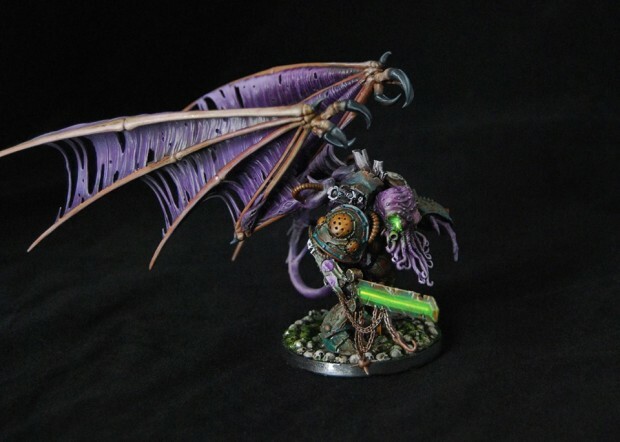 Undoubtedly the cream of this mind-melting crop is The Great Dreamer itself, the Daemon Prince Cthulhu. 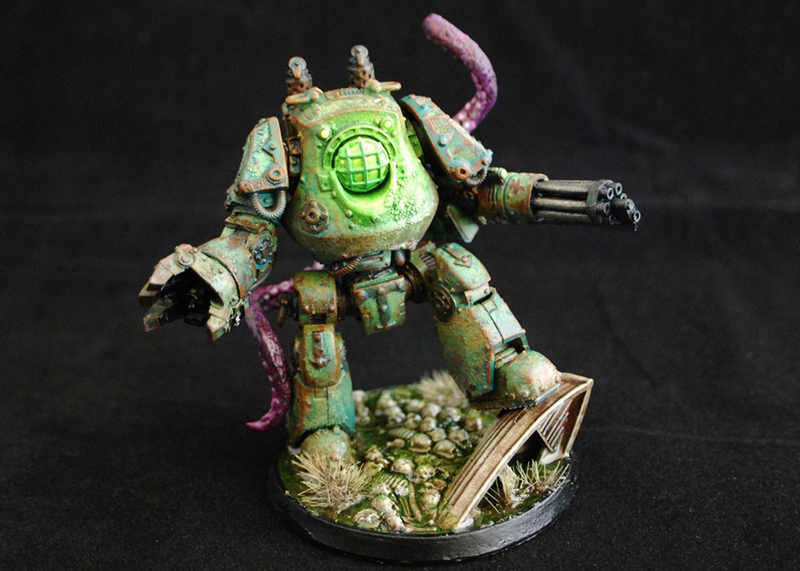 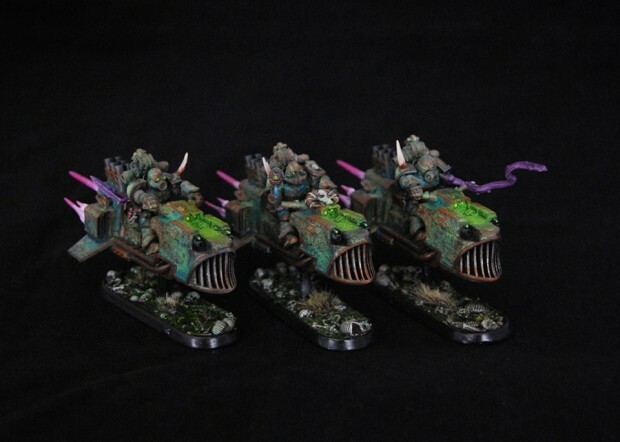 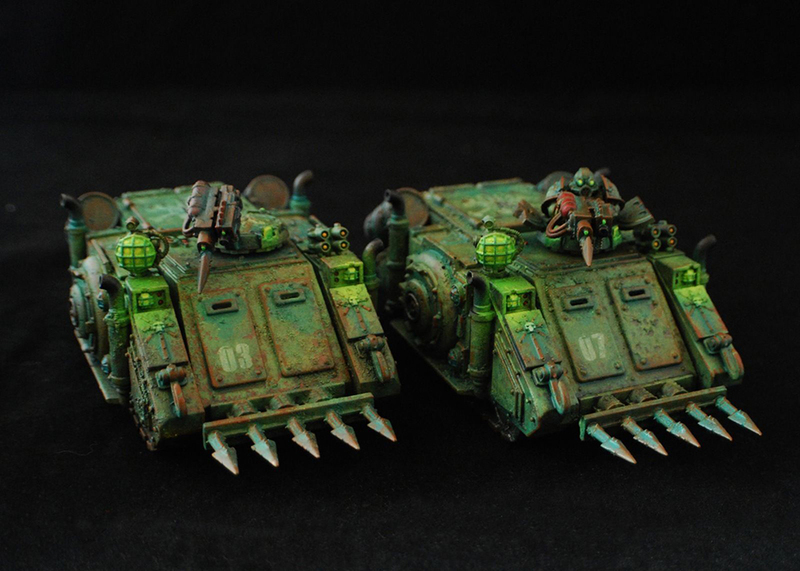 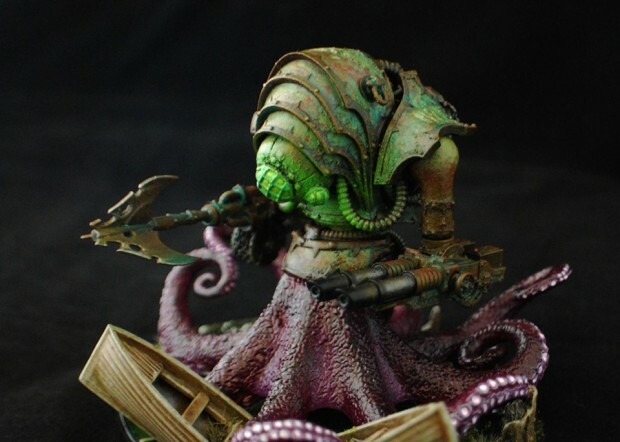 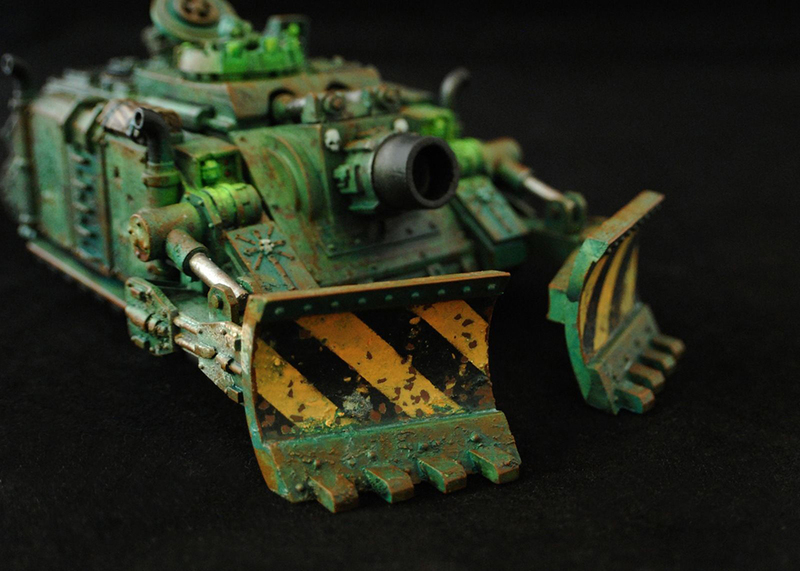 But the rest of the units are just as well-made, sporting barnacles, tentacles, crustacean claws, 18th century diving equipment and other nautical details, all coated in algae green, rust and sickly purple. 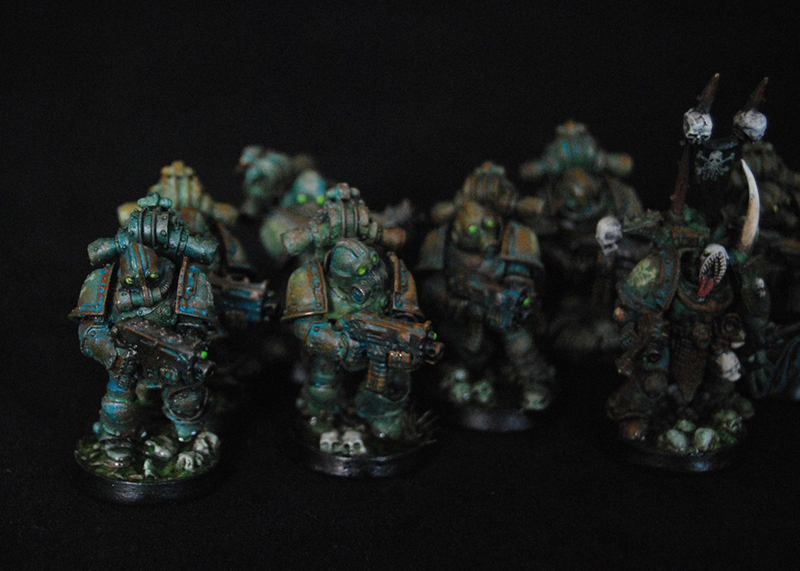 Head to Eye of Error’s eBay page for more shots of the figures; as of this writing the bids are at $10.50 to $73 (USD) depending on the piece.